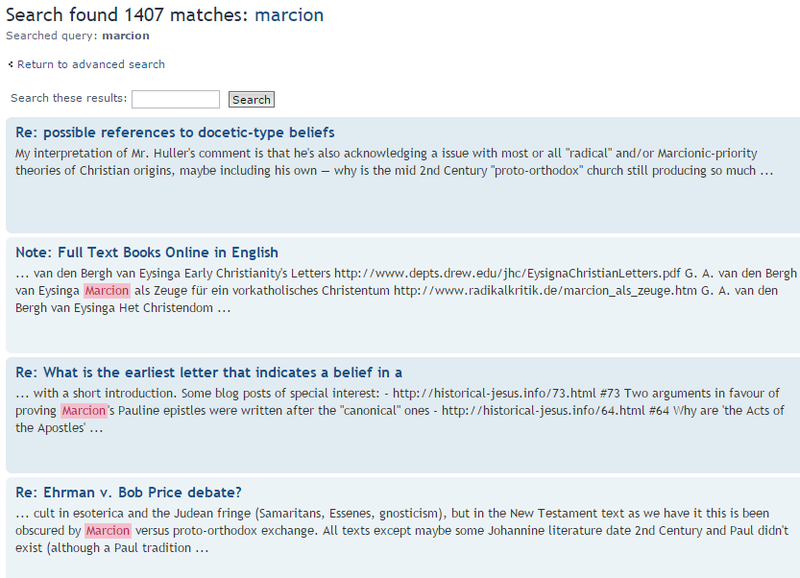 The third option, the greater Blogosphere search, lets you conduct a Google search on a subset of the Internet with a focus on academic resources (books and articles), resources and websites on the Bible, and various blogs and forums discussing the Bible. 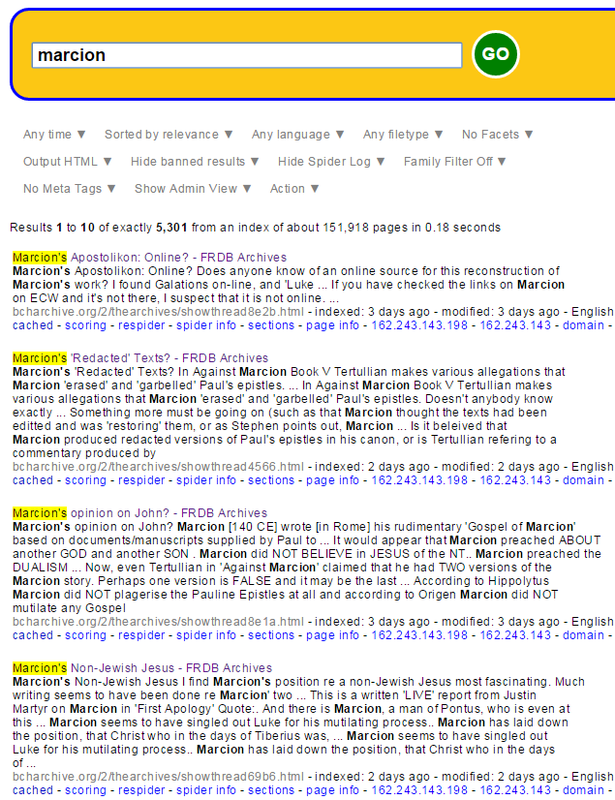 You can, of course, use this just to skim the blogosphere proper. 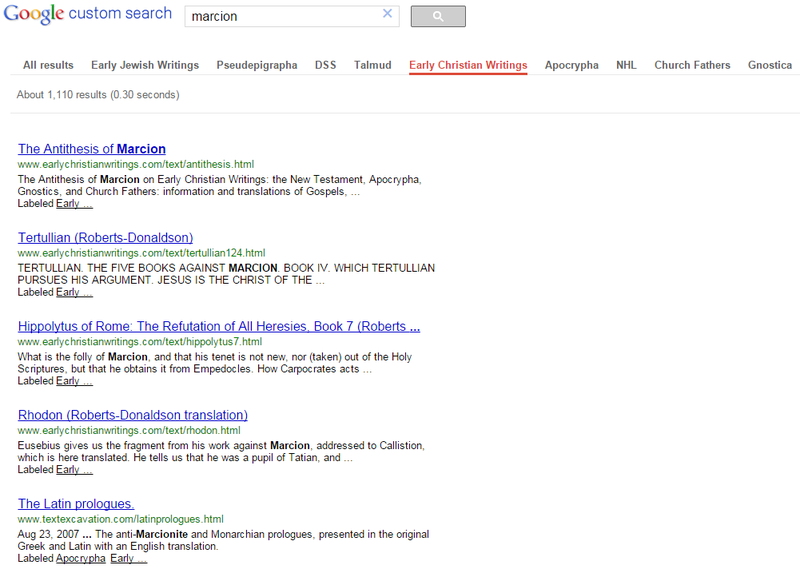 Or you could take a look at some discussions about Marcion that can be found online. 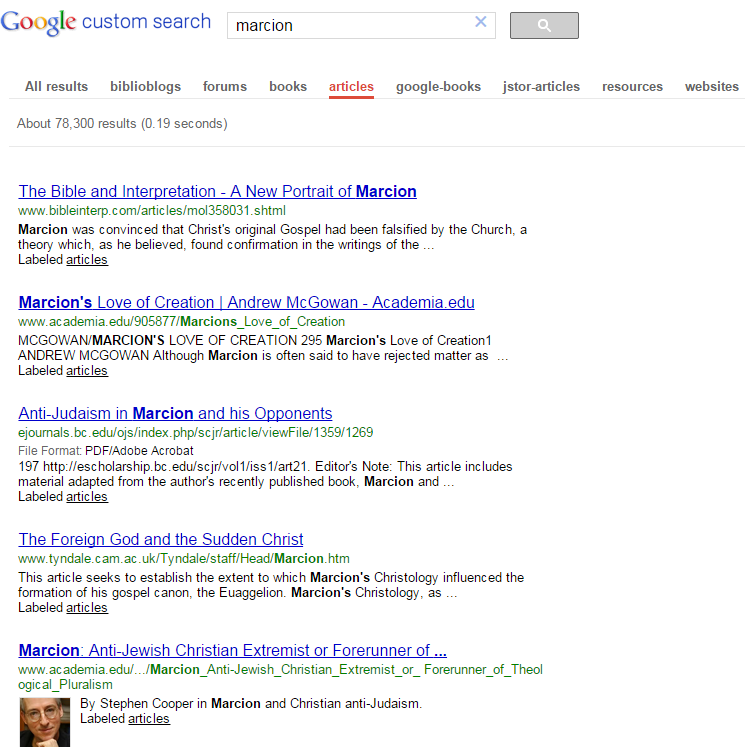 Or, for a more serious purpose, you might want to limit yourself to articles, available in full text online. 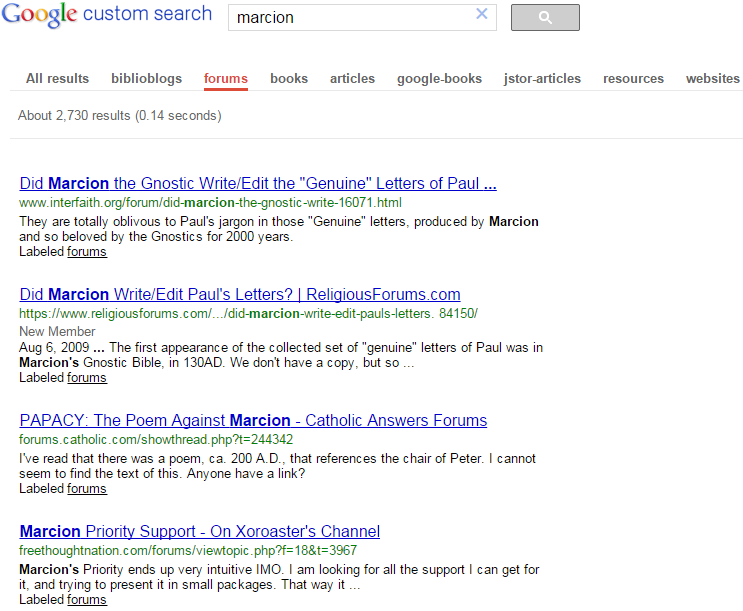 Or maybe you’d rather go check out the results in the fourth search box, the Early Writings search, and find out what ancient references to Marcion can be found. 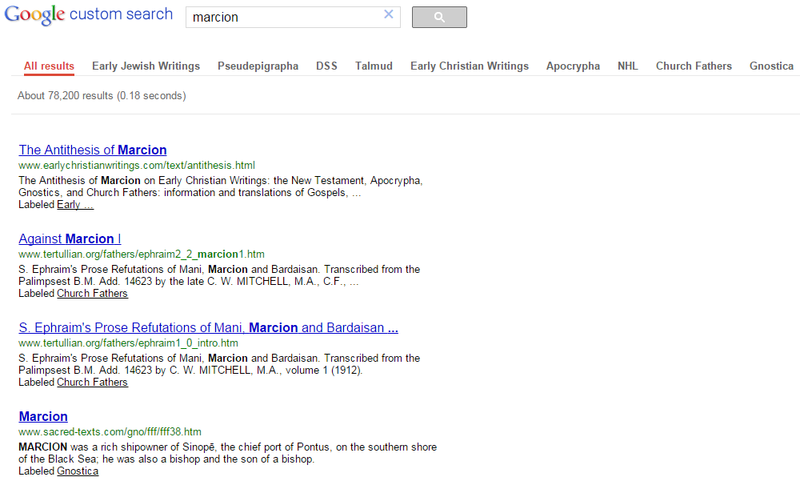 And if they’re not ancient enough, you can narrow it down to ante-Nicene texts (“Early Christian Writings”). 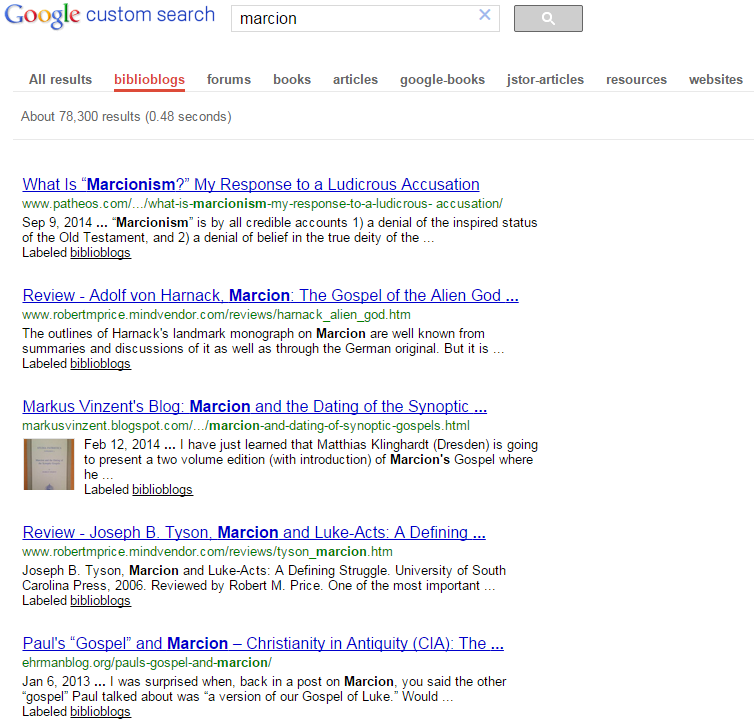 But let’s say you want to find more oblique references to Marcionite theology and similar ideas. 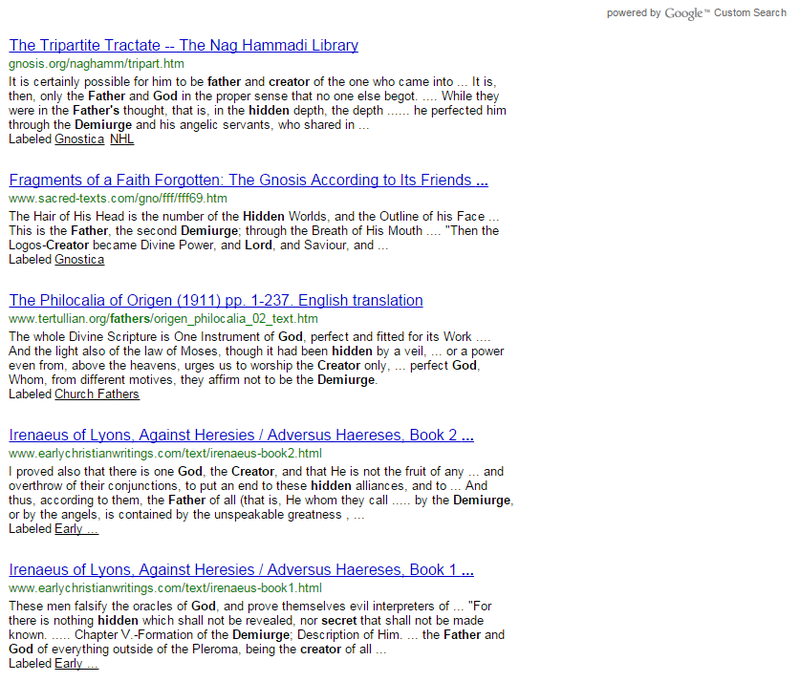 So you rack your brain to come up with the search phrase “demiurge creator father hidden god” and give it a go. 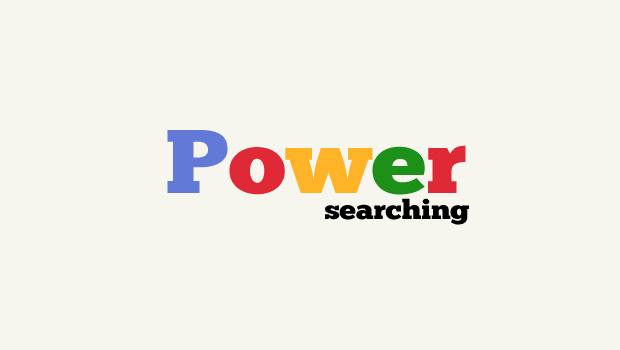 By now I think you have a good idea what it can do. Give it a try.